My expectations were, I wanted a house that looked like it was new, but not a new house. I wanted it to look really good. They blew that out of the water. Just small things that really mean a lot in the end result. "The professionalism of the workers, the communication from management, all the way down to the workers themselves... there was nothing left undone or unsaid, very professional. My expectations were, I wanted a house that looked like it was new, but not a new house. I wanted it to look really good. They blew that out of the water. Just small things that really mean a lot in the end result." There was no troubles at all, I called and spoke with a Secretary, and she directed me to a gentleman... I can't remember his name, and he asked me what were were looking for, and I told him, and we set up a date, then one of your guys came out, walked around and had different samples of siding with them and the insulation, and basically went over everything we would need to know. Before the end of the night, we pretty much decided we were gonna go ahead and let Pinnacle do the job. "There was no troubles at all, I called and spoke with a Secretary, and she directed me to a gentleman... I can't remember his name, and he asked me what were were looking for, and I told him, and we set up a date, then one of your guys came out, walked around and had different samples of siding with them and the insulation, and basically went over everything we would need to know. Before the end of the night, we pretty much decided we were gonna go ahead and let Pinnacle do the job." "The professionalism of the workers, the communication from management, all the way down to the workers themselves... there was nothing left undone or unsaid, very professional." "One of the things that really stood out was how clean they were. At the end of the night the guys would get done working and pick all the scrap pieces they had cut and were laying on the ground. They would pick it all up and put it in to garbage bags, and the next morning somebody would come from Pinnacle, pick it up and take it away." 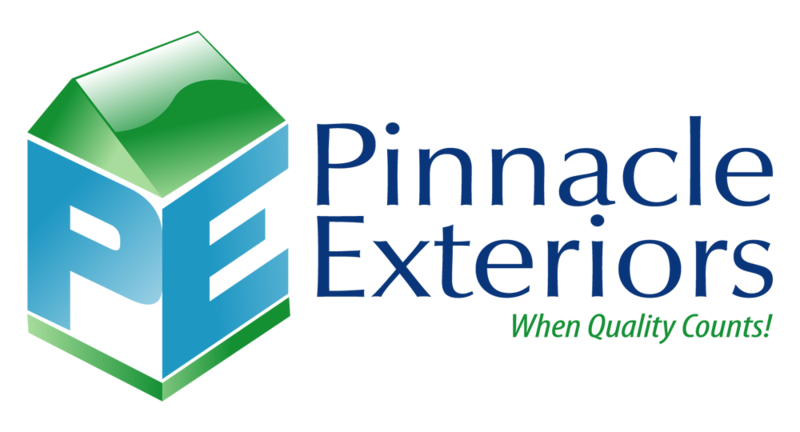 "I had Pinnacle come out and they sided my entire house, they did the siding and the soffits, and fascia, and gave it a whole new look." "I actually Googled local siding companies that finance, and they were one of the first few that came up. I went through the reviews and looked at some of the pictures, but I went through the reviews and found nothing but good reviews, most of them were five star. I also checked them out on the Better Business Bureau, and I found out they had an A+ rating with the better business bureau, and that was pretty much the deciding factor to give them a call. I believe it was one day during the week, but I was going through it... found you guys, read the reviews, and hit the call button."